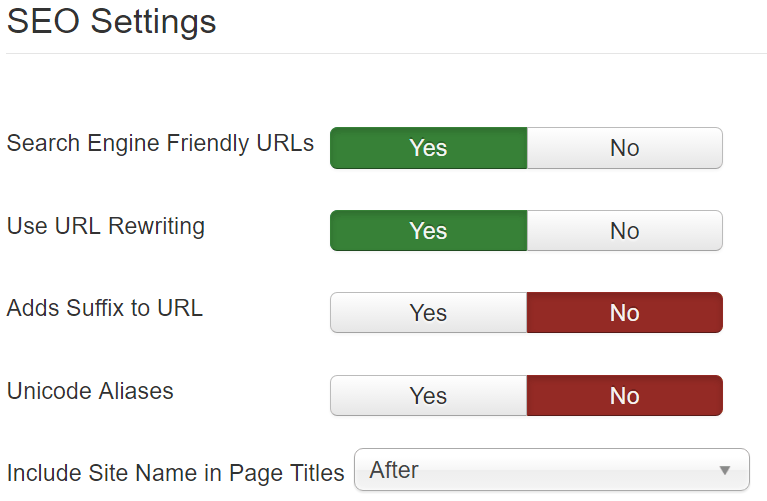 In this post, we will tell you about easy Joomla SEO tips without additional extensions. Joomla contains rich features in its native form and can do a host of Search Engine Optimisation (SEO) features without the need for additional Joomla extensions. For SEO purposes we suggest you place the Site Name After, e.g. “Home – CLASS Digital Marketing” in the header. We do not recommend placing it before as all the Page Titles will display the Site Name first, taking up valuable and needed space in the search engine. Here is an example of placing the Site Name before the Page Title: “CLASS Digital Marketing – Home”. You should not play around with the rest of the settings in this section, and the Robots field is particularly sensitive. “Robots” basically enables your website to be crawled by search engine robots (hence the name, “Robots”) and indexed, so you never want to switch it off. The rest of these settings are just generic metadata you need not concern yourself with and you should leave alone. The great thing about Joomla is that they make redirects, especially 301 redirects dead simple. You would need a 301 redirect if you encounter a 404 error in your website. A 301 redirect is the safest way to deal with a 404 error while remaining SEO friendly. 404 errors would occur, for example, because your website’s structure changes after a redesign, a page no longer exists, you rename the Alias of your web page, 404 errors will appear as you manage your Joomla website and its content and its SEO features include fixing such 404 errors, etc. Just a bit more information, a 404 error is basically a “Page Not Found” error and you would collect these errors on the Google Search Console and the Redirects Component of your website. Click “Update Links” and then all the selected 404s will be redirected to the desired page. As simple as that. Batch processing allows you to work through many pages very quickly. In our earlier web design days, we had accumulated 208 errors (404) because of a website overhaul. It was a great big headache, but thanks to the Redirects component, we made short work of the 404s and virtually eliminated all of our 404s. What would have taken several hours only took a few hours. Redirecting eventually brought results when our Google Analytics account started detecting increased traffic. Hence, even though most 404 errors will not interfere with your SEO, a large number of 404s may point to more serious problems, and you need to remedy it. It is features like this where we stand by our choice of CMS. Why bother installing additional plugins that may pose security threats, or may be of poor design if free, or even pay for something like a WordPress plugin if your CMS provides a robust solution upfront? 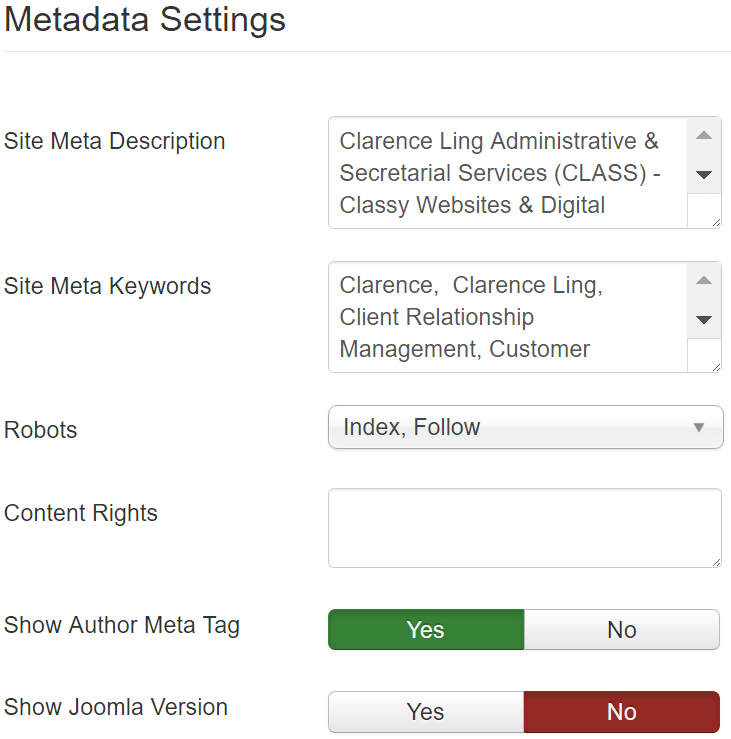 SEO for Joomla is simple. Furthermore, if you are interested in Joomla, you might want to check out a Joomla hosting provider that offers so many benefits for your Joomla site. 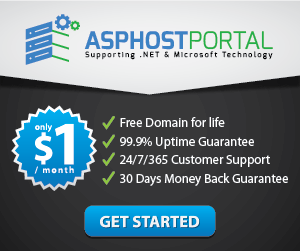 ASPHostPortal is one of the best Joomla hosting providers. With 100% Joomla hosting compatibility, you can rest easy knowing that your Joomla website will be safe, reliable and performance-optimized to-boot.